Our jackets are fully lined with snap front closure, drawstring bottom and slash pockets. They are in unisex sizes, so order a size or two smaller than your normal size for best fit. 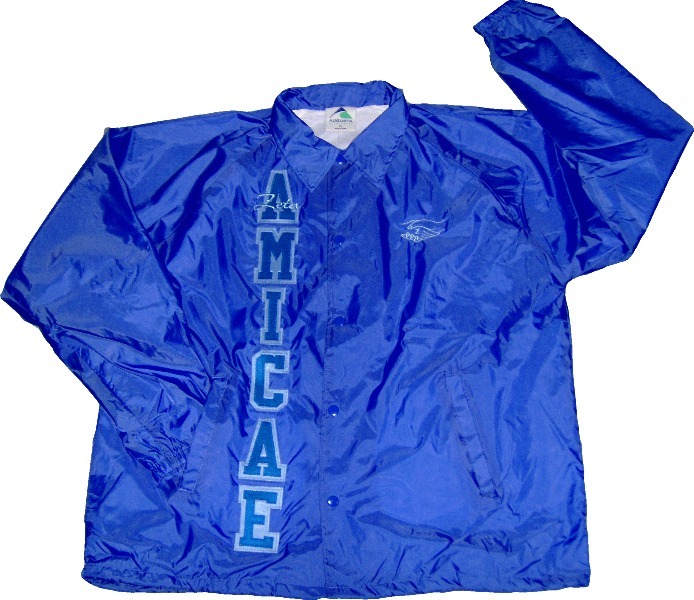 "Amicae" letters are stitched proudly down the right side of the jacket with "Zeta" embroidered over the first A. And, the Amicae handshake and lettering of your choosing is embroidered over the heart. Your choice of 18 characters are embroidered over the top, and 20 characters under the bottom of the emblem. Columbia Blue jackets NOT available in size 4X.